The Mega Baby Boy Shower Kit is on sale for $17.95 at Amazon right now. That's 60% off the list price of $44.95! 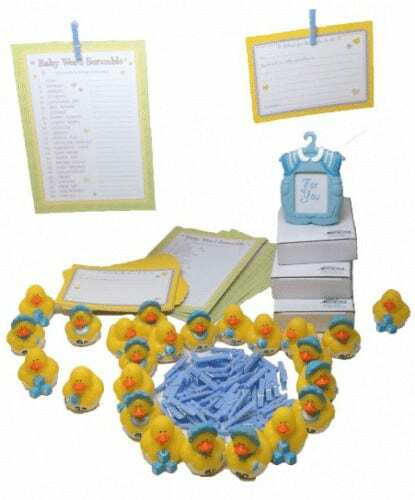 Kit Includes: 24 Adorable Blue Boy Mini Rubber Ducks; Each measures 1-1/2″H x 1-3/4″L x 1-1/2″W. Pack of 48 blue mini plastic clothespins; Each measure 1-1/4″.